Fifteen years ago Alex Devlin’s nephew and niece were snatched from her garden while she was looking after them. The little boy’s drowned body was discovered in a suitcase but the little girl was never found. Martin Jessop and Jackie Wood were jailed for their murder but now Jackie has been released after her conviction was quashed on appeal and Martin has hung himself. Still trying to put things right, Alex uses her job as a journalist as an excuse to meet Jackie Wood and try to find out where Millie is buried. 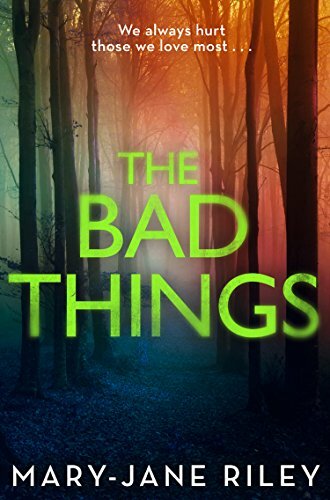 The book is listed as a darkly compelling thriller but is as much a police procedural as a thriller, the action being split between the viewpoints of Alex Devlin and DI Kate Todd, two women who are still affected by the trauma of events all those years ago. The main characters are engaging and sympathetic and make it an absorbing read. Alex still carries the guilt of allowing the children to disappear while under her care and has a secret she is desperate to kept hidden. Kate, who was a young PC at the time and found the body of the boy, is consumed with demons that prevent her from living life to the full. Both are very likeable characters with believable motivations. The setting of the Norfolk countryside in November perfectly reflects the bleak nature of the crime against two innocent children. It is fairly obviously from the blurb on the back of the book what the ending is going to be and it is not a book full of surprises or twists and turns but it is an excellent read. The straightforward narrative follows the two women as, in their own ways, they try to discover what really happened all those years ago and the motivation for recent events.